DFMA® - Cutting Billions in Manufacturing Costs Since 1983 | Boothroyd Dewhurst, Inc.
Long before the lights start flickering in the video slot machine corner of a casino, a light bulb has to go on over a design engineer’s head. And over the heads of an electrical engineer, a mechanical engineer, and a manufacturing engineer as well. “The simple part of a gaming machine is putting in your money and pushing a button,” says Sam Mikhail, Engineering Manager at International Game Technology (IGT). “The difficult part is keeping every other task relating to the machine nearly as simple. Our customers aren’t only the brand-name operators—it’s everyone who touches the machine.” That includes installation personnel, casino employees reloading the cash system, service technicians, players, and others. Specifications for the gaming system are quite rigorous inside and out. Because it is an electromechanical product, there are EMF and ESD requirements as well as safety standards to meet. Beyond these, there are security requirements imposed for gaming equipment. “Safety, security, quality, functionality and cost reduction are our main design goals,” Mikhail says. In addition, the slot machines must be customizable for a wide variety of games, with new ones coming out every few months. To meet that challenge, and coupled with his experience in implementing DFMA programs in a number of companies, Sam Mikhail led the initiative to implement DFMA in IGT, turning to Design for Manufacture and Assembly (DFMA) analysis software from Boothroyd Dewhurst, Inc. (Wakefield, RI), as an integral requirement that complemented the workshops that emphasized DFMA principles and techniques. Through the use of the software, one of the design teams in the pilot workshop managed to pare 30 percent off part cost and an impressive 50 percent off assembly times and costs for a critical electrical box used in many of their machines. Appropriately headquartered in Reno, Nevada, International Game Technology specializes in the design, development, manufacturing, distribution and sales of computerized gaming machines and systems products. 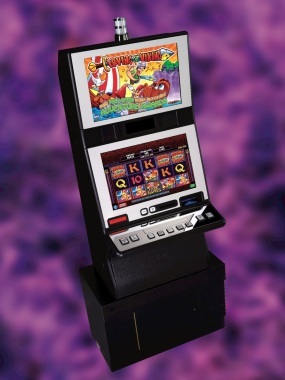 IGT’s video gaming machines are instantly familiar all over the world.The company’s main product families are video and mechanical-reel slots. Cabinets for the machines have either upright or slanted fronts, depending on the angle of the LCD screen. Inside the slot machine cabinet is a large array of electronic and mechanical components that perform the behind-the-scenes work for the games: generating random numbers for virtual reels, controlling the sights and sounds that make play entertaining, and managing and tracking payment in and out. “It’s very busy inside our machines,” Mikhail explains. “As a result, it’s also very crowded.” Numerous fasteners and limited access points can make assembly and service challenging and time-consuming. Before the redesign, Mikhail and other IGT personnel began training on their newly acquired DFMA software, which combines two complementary, closely integrated analysis tools: Design for Assembly (DFA) and Design for Manufacture (DFM). DFA software enables engineers to reduce a product’s complexity by consolidating parts into elegant and multifunctional designs that provide significant cost savings. DFM guides designers through the selection of materials and processes. Early in product development, at the concept stage, the software helps engineers starting with basic shapes or CAD models to cost out alternative materials and processes. The extensive process library and cost models in DFM Concurrent Costing help to identify major cost drivers such as machining time, part handling (set-up) time, materials outlay, or secondary manufacturing processes such as finishing surfaces. Once training was over, it was time to begin a practical, hands-on design exercise. With the benchmark complete, each design team—which included mechanical, electrical, and manufacturing engineers and a shop technician—worked methodically on two DFMA-guided redesigns: a highly innovative “blue sky” concept and a more moderate reworking of the original box. Even the more moderate redesign reached surprising milestones. 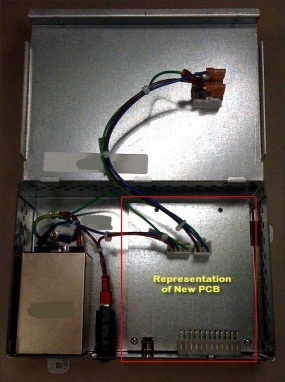 The team was able to incorporate 2 PCBs into 1 and—by integrating connectors, combining grounds, and consolidating or outright eliminating parts—reduce total components nearly by half. The redesigned electronic box will be included in future gaming machines from IGT. The new design is expected to reduce assembly and service times, cut potential engineering change orders, and promote design modularity. And you can bet on that. International Game Technologies is a worldwide supplier of computerized gaming machines like the one above. Inside the machine cabinet is a large array of electronic and mechanical components that perform the behind-the-scenes work for the game. 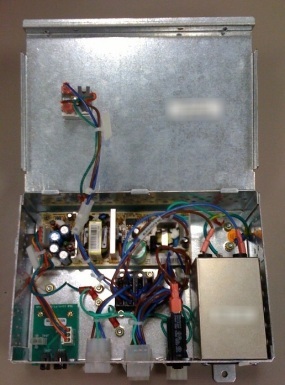 Above is an electronic box used in many of the IGT machines. Because of its multiple wire harnesses, plugs, and grounding fasteners it was time-consuming to assemble and service. A design team selected this box for a pilot redesign project using Design for Manufacturing and Assembly (DFMA) software from Boothroyd Dewhurst, Inc.
DFMA software guided the redesign team to eliminate, integrate, and re-orient components. The redesigned box (above) reduces part costs by 30 percent and assembly times and costs by 50 percent. DFMA and Concurrent Costing are registered trademarks of Boothroyd Dewhurst, Inc.
© 2019 Boothroyd Dewhurst, Inc. All rights reserved. Privacy Statement.